Before taking medication, one has an idea that for all the positives of the medicine there is likely to be negative implications. These are better known as side effects, and doctors should always make their patients aware of them for reasons of liability. 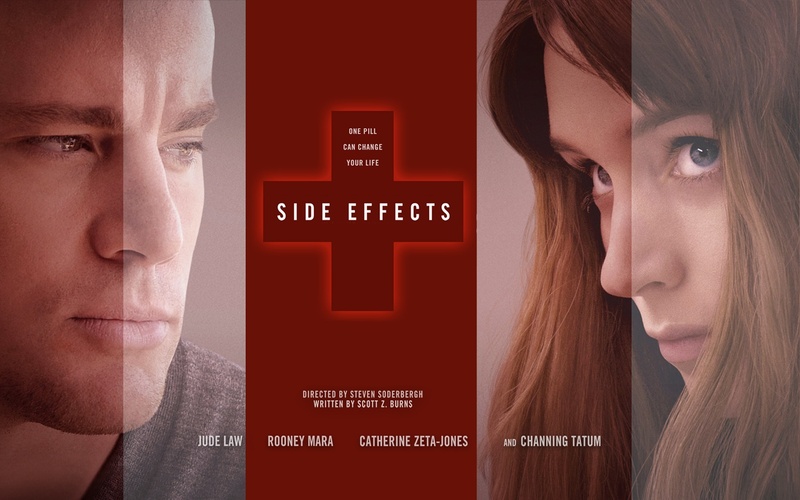 Side Effects, Steven Soderbergh’s second medical thriller in the space of eighteen months, soundly illustrates some of medicines’ many snags as well as the trouble doctors could find themselves in if they don’t make their patients aware of them. 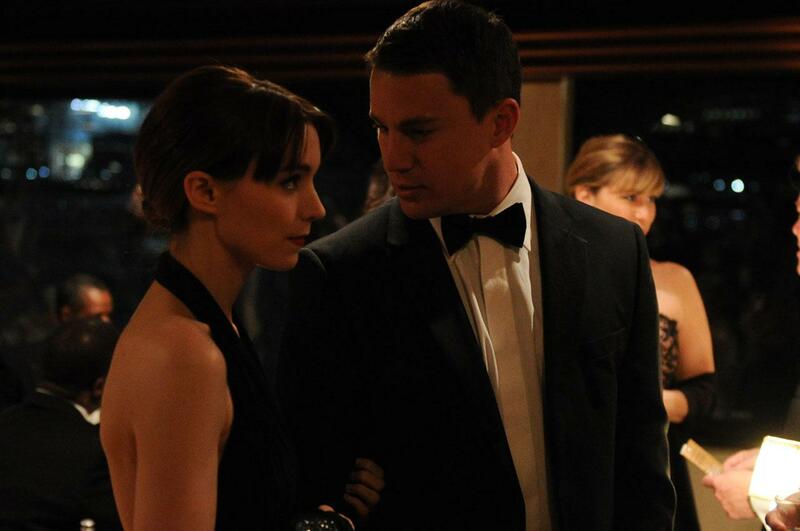 Martin (Channing Tatum) and Emily (Rooney Mara) looking like an aesthetically perfect couple, dressed smartly at a friend’s party. Side Effects more or less begins with Martin (Channing Tatum) coming out of prison to be reunited with his wife, Emily (Rooney Mara). Emily, however, seemingly suffers from depression and other self-esteem issues, and appears unable to cope with life. So, after attempting suicide, she meets Dr. John Banks (Jude Law), who prescribes her a series of drugs to make her feel better, after consulting with Dr. Victoria Siebert (Catherine Zeta-Jones), Emily’s previous doctor. The drugs work initially for Emily. But then the side effects kick in. And with consequences for Emily, Martin and Dr. Banks. Side Effects is a slow-paced medical thriller that is mysterious and gripping for its apt 106 minute running time. Although the plot has several contrived moments, all of these are explained reasonably well, so the film does not feel like a patch-work for lazy script-writing. What’s more, the film has a generally unsettling ambience and leads to an unexpected conclusion that is most welcome. 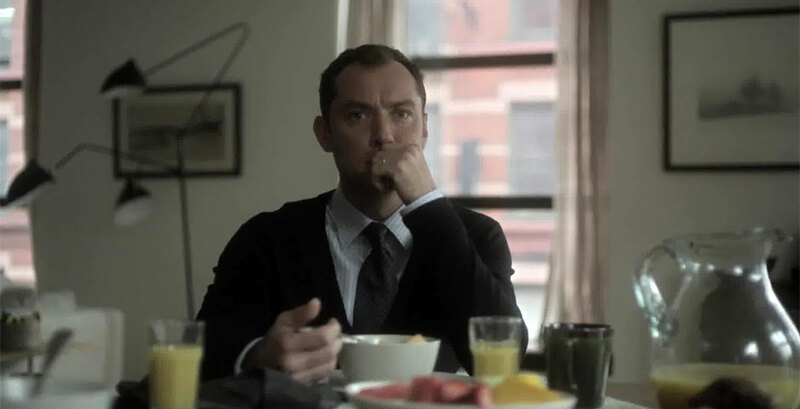 Dr. John Banks (Jude Law) chewing his breakfast, wondering how his world has turned upside down due to Emily’s reaction to the drugs he prescribed her. In part, the disquieting atmosphere of Side Effects is due to the strange, yet thought-provoking music that is virtually on tape-loop during the movie. The other reason is due to good dialogue and acting, not least from Rooney Mara in the lead role. Invariably, her character seems to be permanently on a medically-prescribed drug or suffering from a drug’s drawback; in particular, the latter, and Mara plays it all troublingly well. 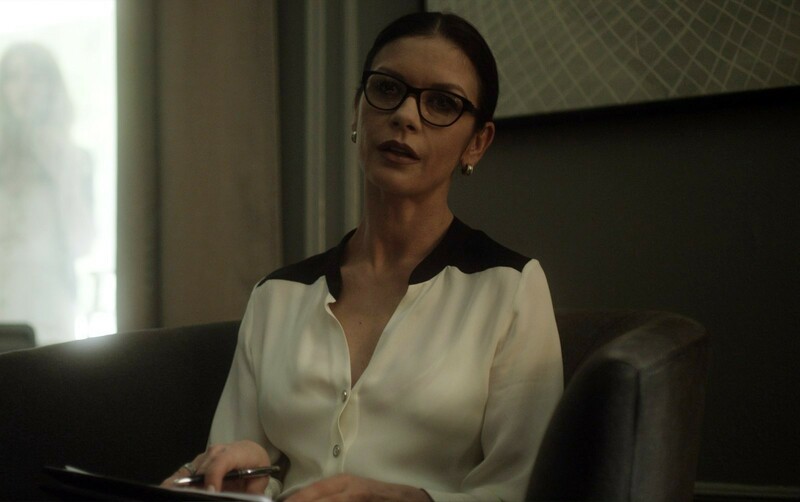 The beautilful and manipulative, Dr. Victoria Siebert (Catherine Zeta-Jones), unaware that someone is looking at her through the window. Channing Tatum, in his comfort-zone as the handsome and charming husband, gives a standard demonstration of his acting skills, while Catherine Zeta-Jones, as arguably the villain of the movie, is just as cunning and classily appealing as she was a decade ago in Intolerable Cruelty. Thus, Side Effects is an enjoyable film that is likely to take viewers by surprise. Granted, it has plot conveniences, yet one is likely to forgive the movie for these as the storyline is intelligent and keeps audiences in suspense. Furthermore, one is likely to be more wary of the downside of certain medications after watching the film; and doctors, if they did not already, are likely to become paranoid about being sued by their patients for prescribing them medications with foreseeable and unforeseeable side effects.